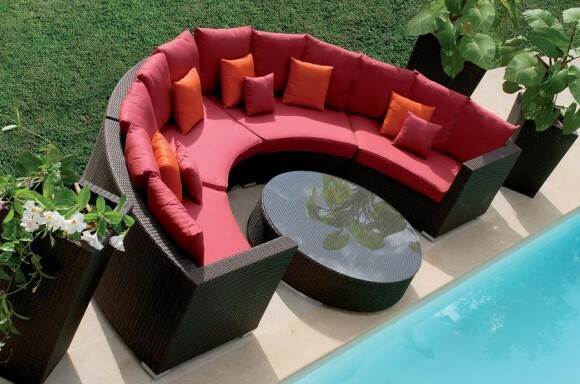 What qualifies for great outdoor furniture? 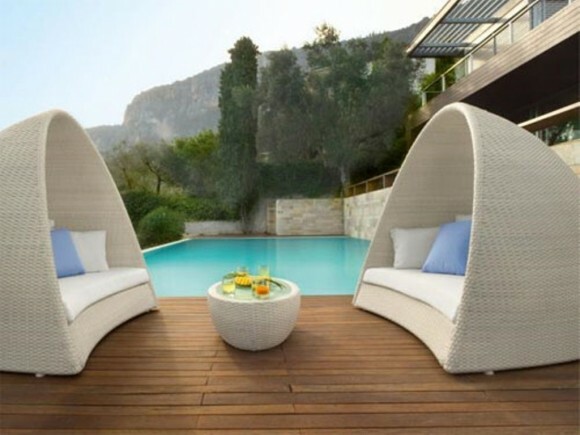 What contributes to the perfect outdoor setting? 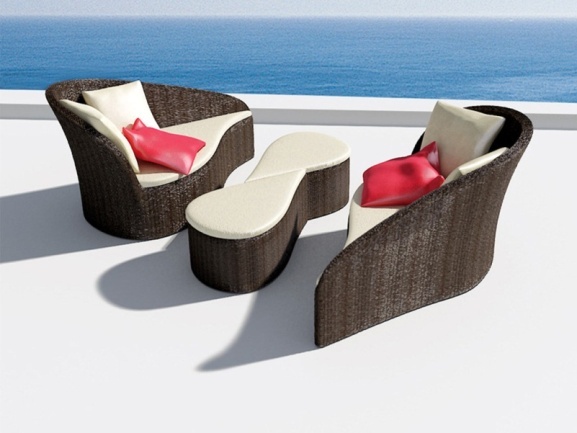 Cane lounge chairs set by the pool or a redwood dining table for the entire family? 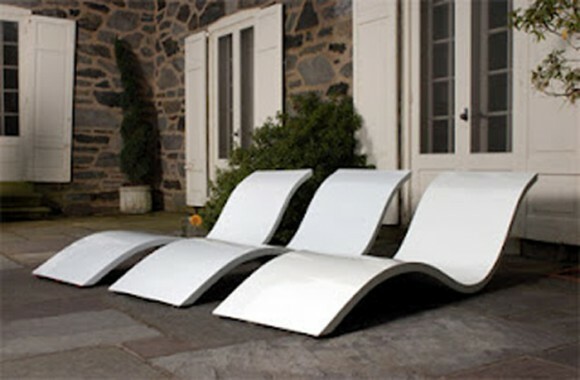 There are a number of designs and ideas you will come across while looking for patio furniture. But when it comes to making the right choice for your home, it is essential to choose that which goes with the tone of your home and gives meaning to your outdoor space. 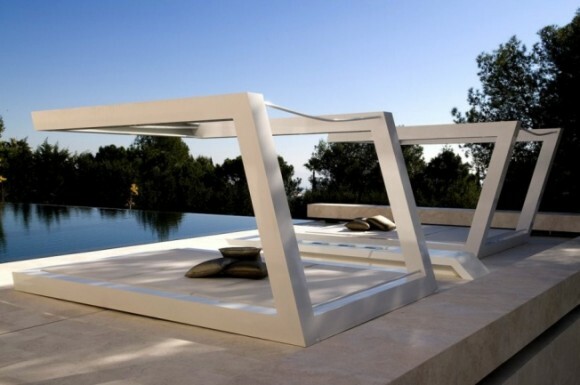 Take a look at some of these modern patio furniture designs. You just might find what you’re looking for! 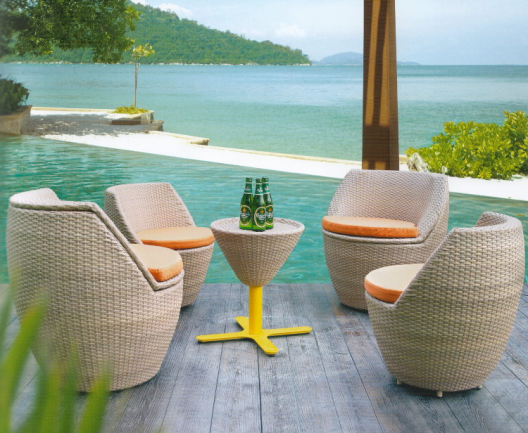 Cane chairs by the pool and a tiny table for those chilled drinks. What more could you ask for? 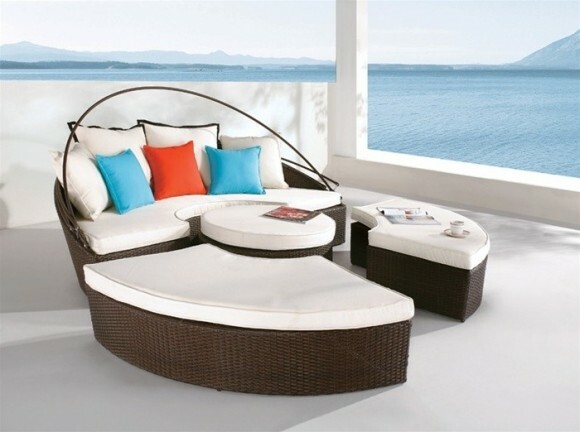 Cane furniture brings with it that “vacation-like” feel and enhances the ambience of the surrounding space. Your vacation home can’t be called “ideal” till you have the perfect patio, overlooking the magnificent blue waters of the ocean. 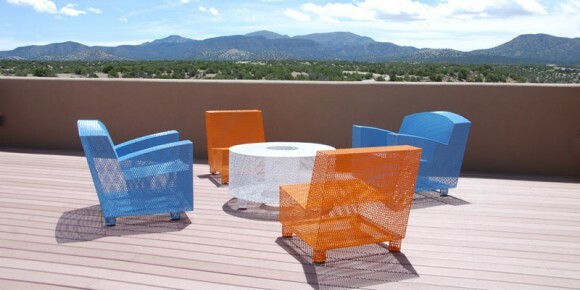 Complement that view by setting up the most sophisticated variety of outdoor furniture you can find. Dark wood or dark brown cane with ivory and red furnishings enhances the elegance quotient. 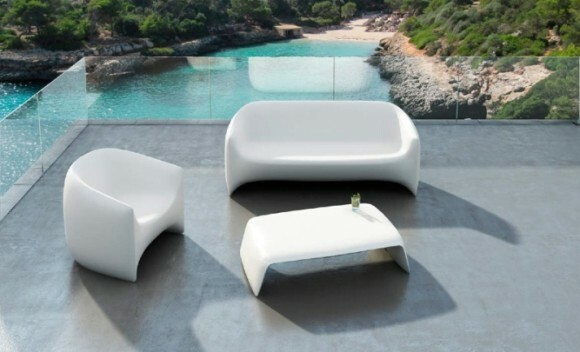 Colorful surroundings are best complemented with white furniture. 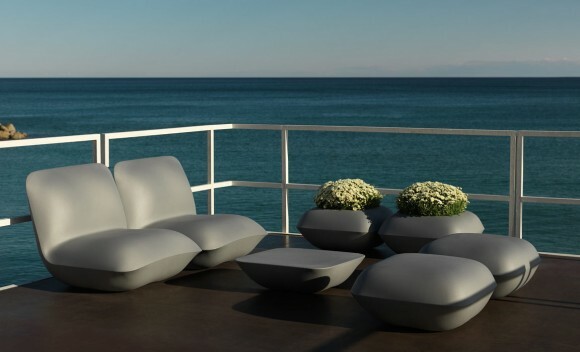 A simple patio or open terrace overlooking the magnificent view beyond is a pre-requisite for furniture like this. It easily pleases your refined tastes! 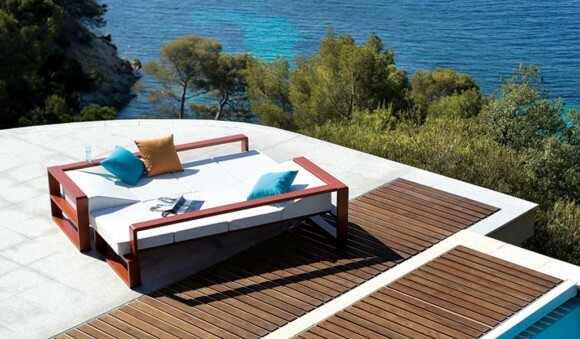 If you’re designing an outdoor space to fulfill your need for day long lounging, you will need furniture like this. 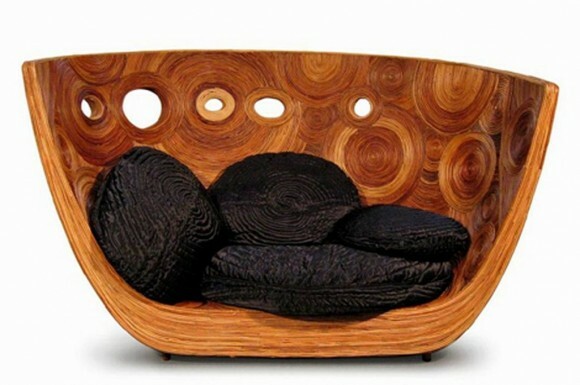 Elongated comfort couches with plenty of room for head and backrest. Whip out your favorite book, play some soothing music and prepare your favorite cocktail and you’re sorted! 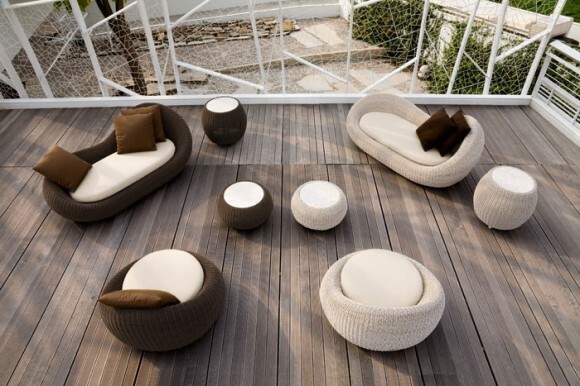 Cane furniture is often the most chosen material for outdoor furniture and there are no surprises why! 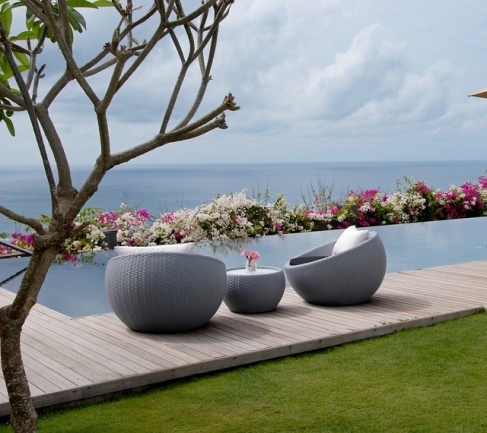 Cane is versatile and can suit a variety of furniture shapes, sizes and colors, just like in this magnificent outdoor space. Give that four-poster in your bedroom a complex! 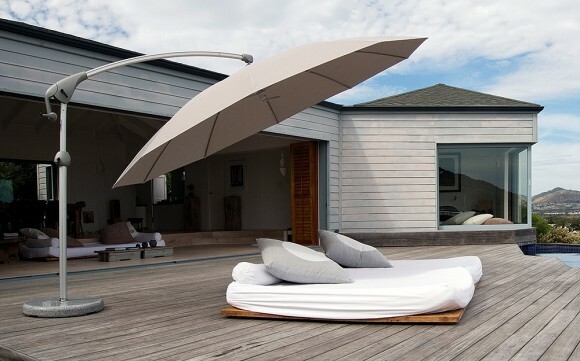 Set up inimitable four-poster like lounge spaces in your patio and you’ll never run out of ideas for recreation. 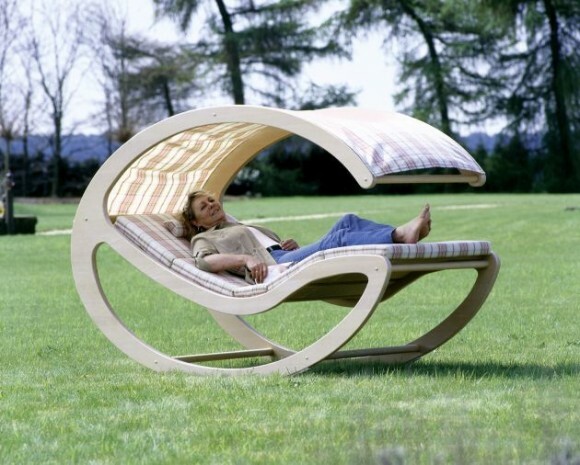 A rocking chair is an integral part of outdoor furniture. Who doesn’t love relaxing at the end of a tiring day on a rocking chair with a steaming hot cup of coffee? 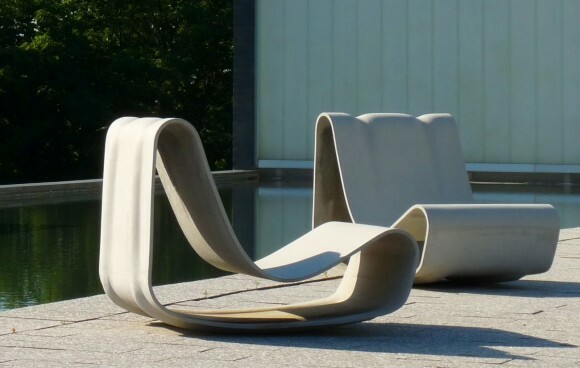 Give your rocking chair a new dimension with a rocking lounge chair for your patio. And with a good shed to protect you from the sun, you can spend many a number of bright sunny days here. Ready to lounge in your magnificent patio?